There are definite key features that should be considered before deciding which pair of headphones is right for you. 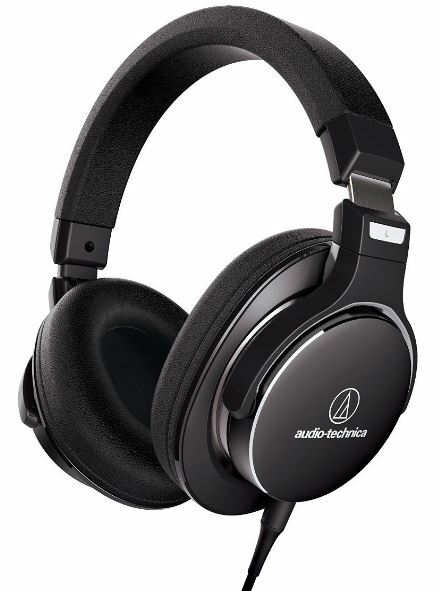 Since there are so many varieties and purposes for a good quality pair, we’re going to give an in depth analysis and honest review of the new Audio-Technica ATH-MSR7NC SonicPro. Gamers, for example, will often require a high performance audio system including a microphone in order to play effectively online. This functionality translates well to the world of movies and music for multiple reasons. For one, professional sound directors in movies, music and video games specifically design their sounds to create a full experience. A headset that performs exceptionally well will have integrated technology to take advantage of this. The general uses of a microphone expand beyond this in order to make phone calls and have crystal clear chatting capabilities, and there are inherent challenges in terms of durability and ease of use, with this and many other features as well. Diaphragm capable of a wide frequency response rate. In practical language, the drivers are quite large, thus able to produce both low frequency sounds like bass and ambient details, as well as provide an immense range of audio upwards in order to deliver a full high resolution audio presentation. In fact, they have a massive frequency response range of 5 to 40,000 Hz due to the durable voice coil technology coupled by the diaphragm. Add to this the above average sensitivity rating, and the result is crystal clear and well amplified sound through the use of drivers alone, making the ATH-MSR7NC SonicPro fully capable of producing full high resolution audio. With a crescent shaped printed circuit board and a specifically crafted flange, the drivers are also provided low and middle frequency sound data that’s been finely tuned to prevent distortion typically experienced when there’s an imbalance. This means that you’ll never be disturbed by undesirable audio data or limited by the performance of your headphones when listening to your favorite sounds. Also making it capable of picking up subtle noises like the footsteps of an opponent in a video game. By far one of the most impressive aspects of the ATH-MSR7NC SonicPro are the noise cancelling technology and the effective closed-back design. Outside noise is an inevitable part of life, especially in travel situations like when you’re sitting on a bus or working out at the gym. 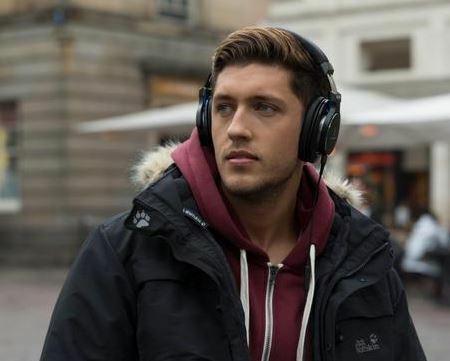 The SonicPro’s active noise cancelling technology automatically detects ambient noise and removes it. 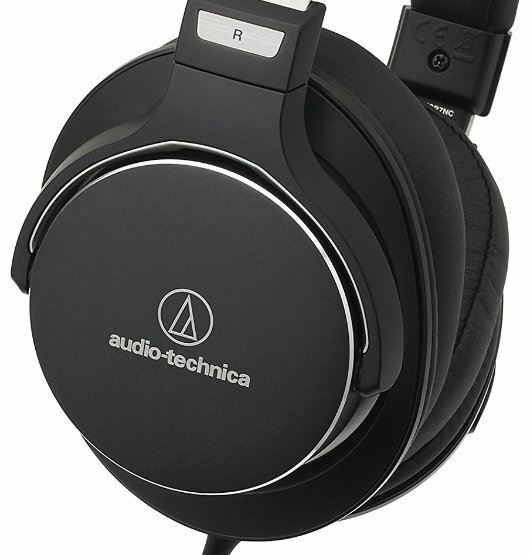 Understanding that this can drain the battery quite significantly, and that when you’re away from home you’re going to want to choose between an active and passive mode, Audio-Technica has provided a secondary noise cancelling method as well. There are acoustic vents built into both ear cups that naturally prevent sounds from entering your sound space. This also makes tuning audio frequencies easier and more effective due to the absence of outside ambient noise in the mix. Both of these features are further complemented by the closed-back design which naturally prevents sound from seeping in. The good news is that you won’t need to deal with battery limitations since it’s equipped with an internal rechargeable lithium polymer battery. With a charge life of about 30 hours for continuous use, it’ll provide you with more than a day’s worth of impressive high quality audio listening. This may seem like a slightly lower continuous transmission time, however when you use the active and passive noise cancellation technology, you’ll see that it’s actually quite impressive for a headset within the same “class”. You’ll be required to spend 4 hours charging it, however you can still use it in the meantime. This can ultimately make it much less of a hassle. As long as you have a USB port or electrical outlet, you’re good to go – it comes standard with an included USB charging cable. What’s more, is that you can even use and charge it up when on an airplane with the airplane adapter attached. This means that you can easily make it through any entire flight without running out of power. Headsets that include microphones are nothing new, especially in the gaming world where chat is very prominent. The SonicPro’s microphone technology is capable of serving you well, no matter your purpose. For starters, there are two mini microphones built into each ear cup that are position on the top rather than the side, allowing them to target just your voice and avoid any unwanted noise including that created by the movement of air. This also makes noise cancellation possible for both listening and recording. With the inclusion of strategically placed vents 90 degrees from the microphones, they can easily produce high resolution audio. Both microphones are omnidirectional for greater clarity and focus on your voice. With all of these advanced features you’ll notice virtually true to life audio quality which is perfect for making phone calls or chatting online with friends or family. With a high signal to noise ratio and integrated noise cancellation technology, the 360 degree range of the microphone is a highly reliable and desirable feature. 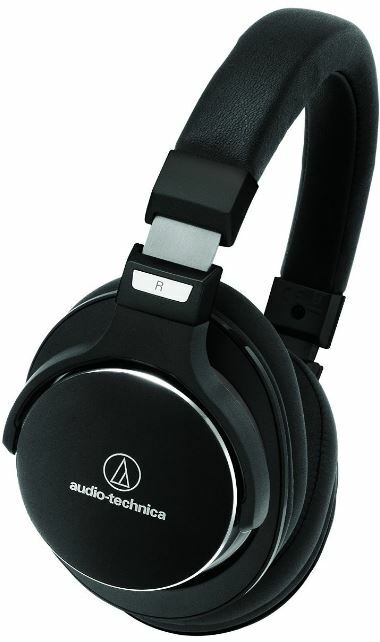 Comfort is a top priority for most people when considering which headset will work for them – it seems that Audio-Technica has made every effort to cater to this area. There’s soft memory foam cushioning placed onto the ear cups as well as the headband that’ll naturally form to the precise shape of your ears and head, providing for excellent comfort, even when you’re using them on a daily, regular basis. You can also extend the ear cups out to adjust to the size of your head, which isn’t surprising, but the durability is reinforced with a strong internal structure in case you drop them, making these features high quality additions overall. The ear cups themselves also swivel, to ensure a comfortable fit on you head, also to allow you to move an ear cup away from your head at any given moment. This is complemented by the flexibility of the overall design and construction. Greater battery life due to low power requirements. Constant access to high resolution audio. Quick access to compatible mic and volume controls. This may seem a bit counter-intuitive considering that Bluetooth technology delivers a lot of comfort, however because of the demands of noise cancellation technology, wireless headsets are hardly capable of providing the same effectiveness, making this an extremely prominent advantage as well. The active noise cancellation technology has a considerable power consumption requirement of 150 ohms of impedance, however with a dedicated battery to this functionality, this headset achieves tremendous performance. 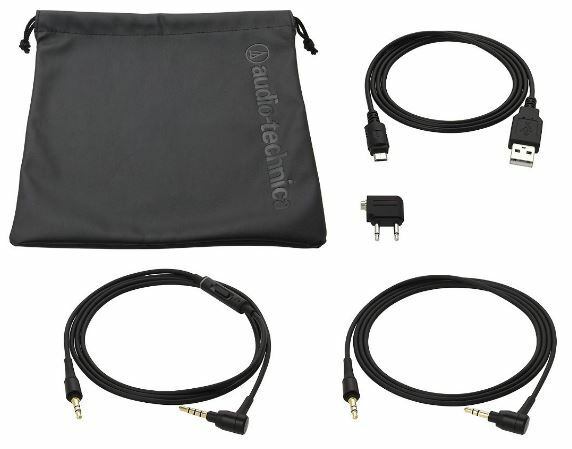 In terms of cable technology, Audio-Technica has done a tremendous job here by providing two cable options, both featuring 3.5 millimeter connectors with gold plated stereo mini plugs for crystal clear audio quality and solid durability. They’re both 1.2 meters (3 feet 9 inches) long, providing a decent connection range for a wired headset, with the only difference being that the standard cable doesn’t include an in-line microphone for use with smart phones or volume controls. The typical driver size range for a high quality over the ear audio headset is about 35-50 millimeters, making the ATH-MSR7NC SonicPro actually ahead of its class, especially when you consider the highly advanced noise cancellation technology. 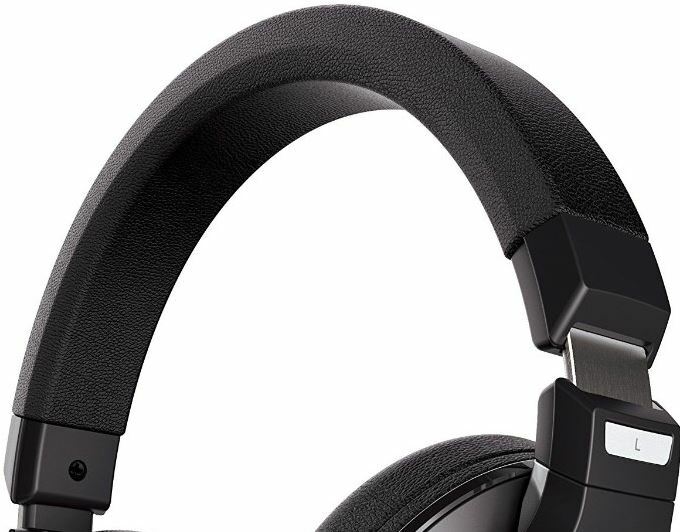 It’s very well designed, from the passive noise cancelling vents to the placement of omnidirectional mini microphones, the comfortable and durable construction and beyond. Gamers may be looking for something with higher performance in terms of 3D sound, however for general use you’ll be more than satisfied with the exclusive sound stage and integrated features which make tuning sound frequencies easier, resulting in clearer and more detailed sound. If you haven’t experienced quality noise cancellation technology, it can be likened to being in a sensory deprivation environment to where when no audio is being played you’ll notice how effective it is at removing noise from a room that previously appeared to be completely silent. Is Virtual Surround Sound Worth the Upgrade?